Nope, you can't buy it, but you sure can make it! After visiting juice carts in Karachi, Lahore, and Islamabad, juice because one of the things I miss about Pakistan, especially the orange juice. First, it has to be freshly squeezed, not from concentrate or a mixer. Next, you must add a pinch of salt. The salt brings out the citrus flavor. 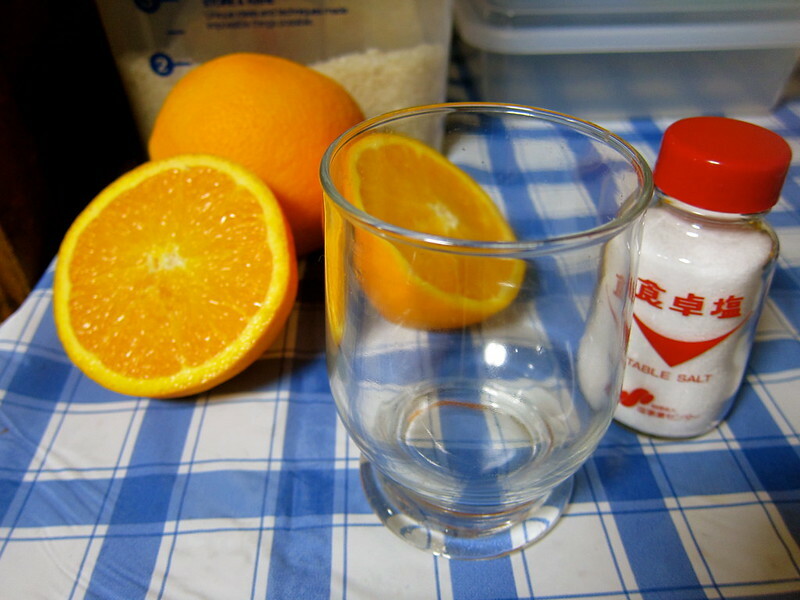 It is impossible to find orange juice in the store that doesn't have sugar added, so I bought some oranges - which are expensive in Japan, about $1.50 each - and made juice with a bit of table salt. Love bringing Pakistan to Japan.